The Hole In The Wall is sponsored by DECA and FBLA. 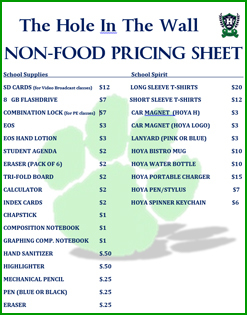 We provide a variety of products including snacks, drinks, school supplies, and spirit wear. We are located on the 400 hall across from the cafeteria. Please visit us any time! 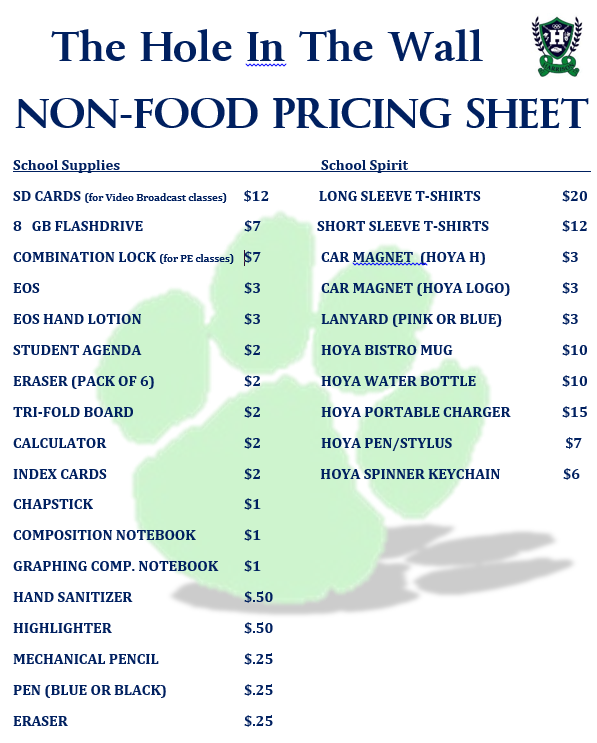 Hours: Open from 7:45-8:10 a.m. daily, during all lunches, after school from 3:30-4:00 p.m. on Monday, Wednesday, and Friday during fall semester only, and during open house. 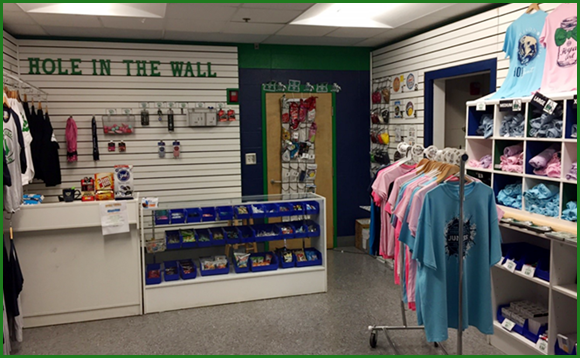 Help us expand The Hole in the Wall!